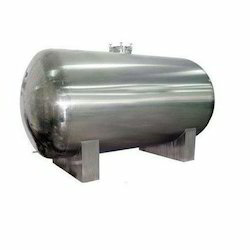 The Steel Tank provided by us is known for its sturdiness and durability in the market. Provided by us in several specifications and at the best possible prices, its demand in the market is quite high. The offered tanks with high resistance to corrosion, find application in a number of industries. We are instrumental in manufacturing and supplying Steel Tank, which is used for storing food materials in food processing and hospitality industries. The offered steel tank is exceptional in terms of quality and can be supplied in bulk owing to our efficient warehousing. It is made from high grade stainless steel in a sophisticated manufacturing facility. We are among the trusted names in the industry for manufacturing and supplying Industrial Steel Tank. 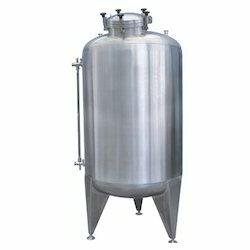 The offered tank is exceptional in terms of tensile strength and is made from high grade of stainless steel procured from our reliable vendor base. This tank is used for storing food materials in various hotels and canteens. It is resistant to high temperature, corrosion and abrasion. This tank is characterized by a remarkable finish. Looking for Steel Tank ?